1. I care more when my son hurts himself. When my daughter was a toddler, I prided myself on taking a step back and not overreacting when she tumbled. But now, anytime my son falls down, I scramble to his side and shower him with affection. The truth is… I probably wasn’t paying attention when he fell. I was helping his big sister on the monkey bars, or rushing to make two different breakfasts and a lunch, and since I don’t know what actually happened, I have to overcompensate. 2. I am more affectionate with my son. He always wants to be held, and we have the best snuggles. The truth is… I’d cuddle my 5-year-old, too, but she’s not usually in the mood. Half the time she’s mad at me (and, let’s be honest, I’m annoyed with her, too), or else she’s off at school/playdate/art class. Besides, this is the last baby I’m ever going to have, and I don’t want to miss a minute of it. 3. He didn’t kill my social life. When Friday night rolls around, I am perfectly happy putting on sweatpants and going to bed early, knowing I’ve got a 6 or 7 a.m. wake-up call. The truth is… When my daughter was born, there was this moment of panic: “Ohmygod. My life will never be the same. WHAT HAVE I DONE?!? !” By the time my son arrived, it wasn’t that big a shift because I’m already a hermit parent. Parties, bars, openings — I gave up most of that stuff years ago. 4. My son is showered with gifts. Our house is full of books, mountains of Duplo, and every type of ball, puzzle, and teether. The truth is… Only two of those toys are his; the rest are hand-me-downs from his big sister or one of her friends. 5. We have all the fun. We laugh together, play together. We don’t worry about anything. 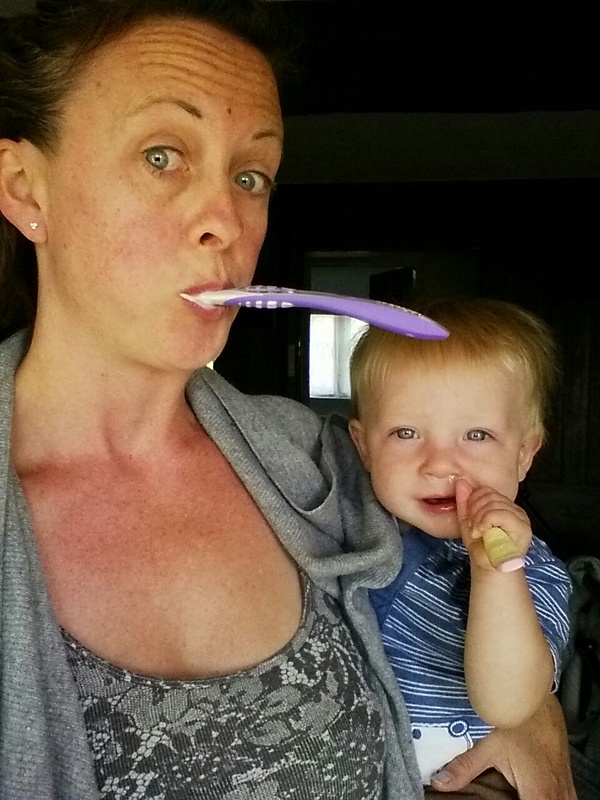 The truth is… I’ve outgrown the hypochondria I had with my first baby. I take it in stride now. My son ate a random band-aid at the playground? Protein. And I never bother with the pediatrician if he’s got a 102-degree fever and a runny nose anymore. I’m not an expert, but I’m more confident (and relaxed) in my job. 6. My son is in all my pictures. Scrolling through my phone, you might think I only have one child. Every picture is of my son: taking a bath, laughing on the swing set, eating strawberries. The truth is… When my daughter was an only child, there were a billion pictures of her, too, but now that she’s in kindergarten there’s no time. By the time I pick her up from school, it’s a race to get home and make dinner, bathe both kids, and get them off to bed. Not to mention, she hates posing for pictures! 7. I’m totally in tune with my son. I have the right game, the right song, the right story for every occasion. It’s like I’m a second baby savant. The truth is… I learned the hard way, just like every other mom. When my daughter was born I only knew a few songs. Over time, I learned a few more and a few more. Everything I know has been tried and tested on his big sister. 8. He’s an easier baby. I don’t need to watch him like a hawk when he’s playing and exploring and testing new skills. The truth is… He’s not an easier baby. Not by a long shot. What feels easier isn’t really because of him, but because I am a more experienced mom. After five years of parenting, I am easier on myself, and naturally that filters down through my kids.